Receiving a mirror supply from your dealer is never a problem because your mirror supplier is likely to take the necessary precautions to make sure the consignment reaches your home or commercial location safely. But when you have to relocate and move your precious mirrors to a new place, you will need take special precautions to make sure there is no breakage or damage to these very fragile items. Prepare each mirror for transportation by cleaning it down thoroughly. This step is essential to make sure there are no grits or sharp particles that might scratch the surface of the mirror. You will also need to take special care of the reverse of the mirror where the reflective coating of the mirror is applied. Any scratches on it and the front of the mirror will show unsightly dark patches. It will also be easier to manage the mirror if all the oils and grease is cleaned off completely. The masking tape you use on the mirror will protect the mirror by allowing it to bend very slightly in case there is bumping or knocking during transportation. Use a roll of masking tape that is typically used by decorators and create an ‘X’ pattern connecting the four corners of your mirror. Even if the mirror is round or oval in shape, you can use the same pattern. Next create additional ‘X’ patterns in the four empty spaces around it. In case, there is an accident and the mirror does break in transit, the tape will serve to hold the pieces together and not let it shatter completely. Check with the moving company or a glass and mirror supply company close by for cases that are appropriately sized to pack your mirrors. You could also opt for the four-piece packing box that can be fitted on the four corners of the mirror. These kind of cases are flexible and can fit any sized piece. Make sure you pack them separately from other items and also choose individual packing for each piece. Now that you have chosen the correct cases, you will need to pack the proper materials to cushion the mirror so that it is protected from accidental impacts. Use packing paper rolled into cylinders and place them on all four sides of the mirror as a buffer between the mirror and the case. 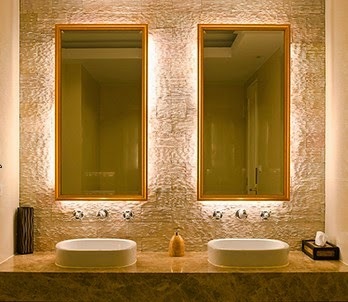 Also wrap the mirror carefully with paper or furniture pads for further protection against scratches. Next you could slide the package into the case, place more cylinders on the box opening and tape it shut. Many glass supply companies use this idea. For additional protection, you could wrap the glass in a thick blanket, comforter, eiderdown or quilt or heavily corrugated cardboard. You could also use bubble wrap. Take care to secure the corners and edges properly, especially if the mirror does not have a frame. Finish by using more masking tape to keep the packaging in place. Do remember to mark the box clearly so handlers are warned that it contains fragile items. When placing the mirror in the moving van, never lay it flat but instead, set it on the edge in an upright position along its longer side. Also check that it does not lean at a more than 10 degree angle. Make sure it is packed on all sides with heavy duty furniture that is not likely to shift when the van is moving. For example, a cushioned sofa or mattress would be perfect. Also take care that the other objects you place beside it are not likely to topple on top and crush it. Placing the mirror on its corner is another no-no. That’s because the corner is likely to shatter under the weight of the mirror. For additional tips on how to move your mirror safely, you could contact your local mirror supply company or contact us at Texas Custom Mirrors. We have the answers to all your mirror-related needs from framing, decorating, installing, replacing, moving and any other issue you might need help with. Contact us today! !